2450101 CA151PD Dynapac CA151PD vibratory roller Spare Parts Catalog. 2450102 CA152 Dynapac CA152 vibratory roller Spare Parts Catalog. 2450103 CA152STD Dynapac CA152STD vibratory roller Spare Parts Catalog. 2450104 CA182 Dynapac CA182 vibratory roller Operating & Maintenance Instruction Manual. 2450105 CA250 Dynapac CA250 vibratory roller Spare Parts Catalog. 2450106 CA250 - CA250-II Dynapac CA250-CA250-II vibratory roller Operating & Maintenance Instruction Manual. 2450107 CA250i Dynapac CA250i vibratory roller Operating & Maintenance Instruction Manual. 2450108 CA250PD Dynapac CA250PD vibratory roller Operating & Maintenance Instruction Manual. 2450109 CA250STD Dynapac CA250STD vibratory roller Spare Parts Catalog. 2450110 CA251 Dynapac CA251 vibratory roller Spare Parts Catalog. 2450111 CA252 Dynapac CA252 vibratory roller Operating & Maintenance Instruction Manual. 2450112 CA252D Dynapac CA252D vibratory roller Operating & Maintenance Instruction Manual. 2450113 CA260PD-II Dynapac CA260PD-II vibratory roller Spare Parts Catalog. 2450114 CA262 Dynapac CA262 vibratory roller Operating & Maintenance Instruction Manual. 2450115 CA270 Dynapac CA270 vibratory roller Operating & Maintenance Instruction Manual. 2450116 CA270D Dynapac CA270D vibratory roller Operating & Maintenance Instruction Manual. 2450117 CA280 Dynapac CA280 vibratory roller Operating & Maintenance Instruction Manual. 2450118 CA280-II Dynapac CA280-II vibratory roller Operating & Maintenance Instruction Manual. 2450119 CA282D Dynapac CA282D vibratory roller Operating & Maintenance Instruction Manual. 2450120 CA300 Dynapac CA300 vibratory roller Operating & Maintenance Instruction Manual. 2450121 CA362 Dynapac CA362 vibratory roller Operating & Maintenance Instruction Manual. 2450122 CA402D Dynapac CA402D vibratory roller Operating & Maintenance Instruction Manual. 2450123 CA500 Dynapac CA500 vibratory roller Spare Parts Catalog. 2450124 CA600 Dynapac CA600 vibratory roller Operating & Maintenance Instruction Manual. 2450125 CA610PD Dynapac CA610PD vibratory roller Operating & Maintenance Instruction Manual. 2450126 CA702 Dynapac CA702 vibratory roller Operating & Maintenance Instruction Manual. 2450127 CA1300 Dynapac CA1300 vibratory roller Spare Parts Catalog. Operating & Maintenance Instruction Manual. 2450128 CA1500 Dynapac CA1500 vibratory roller Spare Parts Catalog. Operating & Maintenance Instruction Manual. 2450129 CA1500D Dynapac CA1500D vibratory roller Spare Parts Catalog. 2450130 CA2500 Dynapac CA2500 vibratory roller Operating & Maintenance Instruction Manual. 2450131 CA2800 Dynapac CA2800 vibratory roller Operating & Maintenance Instruction Manual. 2450132 CA3500 Dynapac CA3500 vibratory roller Operating & Maintenance Instruction Manual. 2450133 CA3500D/PD (IIIA/T3) Dynapac CA3500D/PD (IIIA/T3) vibratory roller Operating & Maintenance Instruction Manual. 2450134 CA3600 Dynapac CA3600 vibratory roller Operating & Maintenance Instruction Manual. 2450135 CA4000 Dynapac CA4000 vibratory roller Operating & Maintenance Instruction Manual. 2450136 CA4600 Dynapac CA4600 vibratory roller Operating & Maintenance Instruction Manual. 2450137 CA4600D/PD (IIIA/T3) Dynapac CA4600D/PD (IIIA/T3) vibratory roller Operating & Maintenance Instruction Manual. 2450138 CA5000 Dynapac CA5000 vibratory roller Operating & Maintenance Instruction Manual. 2450139 CA5500 Dynapac CA5500 vibratory roller Operating & Maintenance Instruction Manual. 2450140 CA6000 Dynapac CA6000 vibratory roller Operating & Maintenance Instruction Manual. 2450141 CA6500 Dynapac CA6500 vibratory roller Operating & Maintenance Instruction Manual. 2450201 CC10/12 Dynapac CC10/12 vibratory roller Spare Parts Catalog. 2450202 CC14 Dynapac CC14 vibratory roller Spare Parts Catalog. 2450203 CC20 Dynapac CC20 vibratory roller Spare Parts Catalog. 2450204 CC21 Dynapac CC21 vibratory roller Spare Parts Catalog. 2450205 CC40 Dynapac CC40 vibratory roller Operating & Maintenance Instruction Manual. 2450206 CC41 Dynapac CC41 vibratory roller Spare Parts Catalog. 2450207 CC42 Dynapac CC42 vibratory roller Operating & Maintenance Instruction Manual. 2450208 CC43 Dynapac CC43 vibratory roller Spare Parts Catalog. 2450209 CC50 Dynapac CC50 vibratory roller Spare Parts Catalog. 2450210 CC82 Dynapac CC82 vibratory roller Operating & Maintenance Instruction Manual. 2450211 CC100 Dynapac CC100 vibratory roller Spare Parts Catalog. 2450212 CC101-121 Dynapac CC101-121 vibratory roller Spare Parts Catalog. 2450213 CC102 Dynapac CC102 vibratory roller Spare Parts Catalog. 2450214 CC102/102C Dynapac CC102/102C vibratory roller Spare Parts Catalog. 2450215 CC102C Dynapac CC102C vibratory roller Spare Parts Catalog. 2450216 CC122/122C Dynapac CC122/122C vibratory roller Spare Parts Catalog. 2450217 CC122 Dynapac CC122 vibratory roller Spare Parts Catalog. Operating & Maintenance Instruction Manual. 2450218 CC132 Dynapac CC132 vibratory roller Operating & Maintenance Instruction Manual. 2450219 CC142 Dynapac CC142 vibratory roller Spare Parts Catalog. 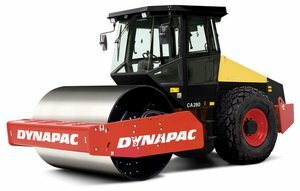 2450220 CC142C Dynapac CC142C vibratory roller Spare Parts Catalog. 2450232 CC232 Dynapac CC232 vibratory roller Spare Parts Catalog Operating & Maintenance Instruction Manual. 2450233 CC232C Dynapac CC232C vibratory roller Operating & Maintenance Instruction Manual. 2450239 CC322 Dynapac CC322 vibratory roller Spare Parts Catalog Operating & Maintenance Instruction Manual. 2450243 CC324HF Dynapac CC324HF vibratory roller Spare Parts Catalog Operating & Maintenance Instruction Manual. 2450245 CC334HF Dynapac CC334HF vibratory roller Operating & Maintenance Instruction Manual. 2450246 CC384HF Dynapac CC384HF vibratory roller Spare Parts Catalog Operating & Maintenance Instruction Manual. 2450254 CC424/ 524/ 624HF Dynapac CC424/524/624HF vibratory roller Spare Parts Catalog Operating & Maintenance Instruction Manual. 2450257 CC424HF Dynapac CC424HF vibratory roller Spare Parts Catalog Operating & Maintenance Instruction Manual. 2450260 CC431 Dynapac CC431 vibratory roller Operating & Maintenance Instruction Manual. 2450270 CC524HF Dynapac CC524HF vibratory roller Spare Parts Catalog Operating & Maintenance Instruction Manual. 2450275 CC624HF Dynapac CC624HF vibratory roller Spare Parts Catalog Operating & Maintenance Instruction Manual. 2450276 CC624HF IIIB/T4i Dynapac CC624HF IIIB/T4i vibratory roller Operating & Maintenance Instruction Manual. 2450277 CC722 Dynapac CC722 vibratory roller Spare Parts Catalog Operating & Maintenance Instruction Manual. 2450279 CC800 Dynapac CC800 vibratory roller Spare Parts Catalog Operating & Maintenance Instruction Manual. 2450280 CC900 Dynapac CC900 vibratory roller Spare Parts Catalog Operating & Maintenance Instruction Manual. 2450283 CC1000 Dynapac CC1000 vibratory roller Spare Parts Catalog Operating & Maintenance Instruction Manual. 2450285 CC1100 Dynapac CC1100 vibratory roller Spare Parts Catalog Operating & Maintenance Instruction Manual. 2450287 CC1100C Dynapac CC1100C vibratory roller Spare Parts Catalog Operating & Maintenance Instruction Manual. 2450289 CC1200 Dynapac CC1200 vibratory roller Spare Parts Catalog Operating & Maintenance Instruction Manual. 2450290 CC1200C Dynapac CC1200C vibratory roller Spare Parts Catalog Operating & Maintenance Instruction Manual. 2450291 CC1300 Dynapac CC1300 vibratory roller Spare Parts Catalog Operating & Maintenance Instruction Manual. 2450292 CC1300C Dynapac CC1300C vibratory roller Spare Parts Catalog Operating & Maintenance Instruction Manual. 2450293 CC3200 Dynapac CC3200 vibratory roller Spare Parts Catalog Operating & Maintenance Instruction Manual. 2450297 CC4200 Dynapac CC4200 vibratory roller Spare Parts Catalog Operating & Maintenance Instruction Manual. 2450301 CC6200 Dynapac CC6200 vibratory roller Operating & Maintenance Instruction Manual. 2450303 CG2300 Dynapac CG2300 vibratory roller Operating & Maintenance Instruction Manual. 2450403 CP274 Dynapac CP274 Pneumatic Tire Roller Operating & Maintenance Instruction Manual. 2450404 CP275 Dynapac CP275 Pneumatic Tire Roller Operating & Maintenance Instruction Manual. 2450601 DF115PD - DF125PD Dynapac DF115PD-DF125PD Paver Operating & Maintenance Instruction Manual. 2450602 F1000T Dynapac F1000T Paver Operating & Maintenance Instruction Manual. 2450603 F1000T Tier4 Dynapac F1000T Tier4 Paver Operating & Maintenance Instruction Manual. 2450604 F1000W Dynapac F1000W Paver Operating & Maintenance Instruction Manual. 2450605 F1000W Tier4 Dynapac F1000W Tier4 Paver Operating & Maintenance Instruction Manual. 2450703 PL500TD Dynapac PL500TD Cold Planer Operating & Maintenance Instruction Manual. 2450704 PL600 - PL1000T Dynapac PL600-PL1000T Cold Planer Operating & Maintenance Instruction Manual.